The days leading up to the grand opening of your new business are filled with much excitement. Sometimes it might feel a little hectic as you’re making sure all the final details are taken care of, but overall there’s a sense of satisfaction in knowing that the long wait is almost over. To ensure your opening goes as smoothly as possible, it helps to know what to expect as well as some dos and don’ts to help you and your team get started on the right foot. As soon as you can, start engaging with the local business community through your local Chamber of Commerce and other similar associations. Michael Spinosa of Unleashed Technologies says these organizations have “tremendous power to help increase your exposure and even coordinate special events on your opening day that help get the buzz around town,” also noting that involvement in business associations is quite helpful for businesses catering to consumers. To further your efforts in generating a buzz about your business and getting the word out, use social media as it will help expand your reach and build a loyal customer base later on. Be sure to use the social media platforms your target audience is most likely using and start posting even before your business opens. Share news about grand opening events, what customers can expect to experience in their interactions with your business, introduce your staff, and more. Your staff will be one of your best advertisements for your business, so make it a priority to conduct a thorough hiring and training process. Your customers may interact with them more than you, so you want to make sure your staff knows your expectations, the processes and procedures to follow, how to handle difficult situations, and the basics like great customer service. This is also a good time to invest in your staff by going through some team-building exercises to remind them that you’re all on the same team so you present a united front when your doors open. Be sure to plan a soft opening before the grand opening. By providing a sneak peek at what’s to come, you can help generate excitement for your grand opening as well as give your team a chance to get a feel for what the environment will be like when you’re officially open for business. After the soft opening, take some time to review what went well and what needs to be changed or improved prior to your grand opening to better your operations. Remember that providing your customers with an exceptional experience the first time they walk through your business’s doors is crucial if you want them to keep coming back. Create a welcoming atmosphere and small touchpoints that show your appreciation. From coupons for a percentage off on their next visit to referrals and other client loyalty programs, there are a ton of ways you can go one step further than the competition to show your customers how much you value and appreciate their business. As you get ready for your grand opening, expect the unexpected. You may have more people show up than you were expecting, or something may go awry and that’s okay. No matter what happens, have a backup plan in place and keep your patrons happy. If something goes wrong, don’t let it show. Keep things moving and plan a regroup with your team at the end of the day to celebrate the successes and discuss any issues that came up. Make a plan for addressing and resolving any issues, and look forward to starting the next day with a clean slate. At Pigtails & Crewcuts, our salon owners receive support each step of the way from our franchise support team during the pre-opening process and beyond. From marketing plans to operational support, staff training and more, each owner will be assigned a dedicated Franchise Support Specialist to help ensure the salon has a smooth pre-opening process and a successful grand opening, plus ongoing support afterwards. Our owners never have to go it alone! With more than 25 years of experience in the childcare and franchise industries, Theresa Underwood leads our Franchise Support team. 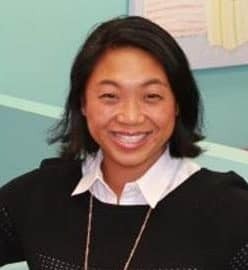 Prior to joining Pigtails & Crewcuts in 2012, Theresa served as the Director of Franchise Support and Operations for a large childcare franchising company, providing support for operations, marketing, staffing, and customer service. Those skills have translated well in her position at Pigtails & Crewcuts, where her role includes supporting salon owners with operational, marketing, and retail support as well as training. In addition to overseeing the Franchise Support team, Theresa works closely with our marketing agency and many of our vendors. The Pigtails & Crewcuts Franchise Support team makes regular visits to salons each year to provide training and other operational support for our franchisees and their staff. This includes an annual quality assurance visit called Shear Excellence, in which salons are rated based on a specific set of criteria. Each Shear Excellence visit allows our Franchise Support team to work with every owner in their region, creating a personal relationship in order to promote the success of each salon and our Brand as a whole. 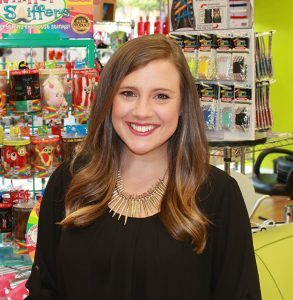 Michelle Holliman is the Vice President of Franchise Development at Pigtails & Crewcuts. 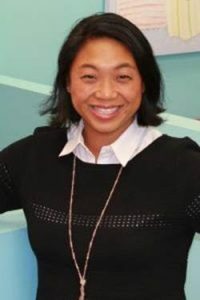 She has worked in the franchising industry for more than 20 years, spending time working for the parent companies of well-known brands such as Heavenly Ham, HoneyBaked Ham, Moe’s Southwest Grill, Planet Smoothie and P.J.’s Coffee before joining Pigtails & Crewcuts. Michelle served as Pigtails & Crewcuts’ Director of Franchise Development before her promotion to Vice President of Franchise Development in 2017. In this role, Michelle evaluates applicants to help them determine if becoming a franchisee with Pigtails & Crewcuts is the right investment choice. At Pigtails & Crewcuts, we have a dedicated team of Franchise Support Specialists who serve as a direct point of contact for our franchisees. Our FSS team offers ongoing support and training for the franchisees on all aspects of their business including financial documents, marketing plans, operational procedures, and more. Our Franchise Support Specialists also help research and test various software applications and platforms that may benefit the entire Pigtails & Crewcuts franchise. They also travel to help support franchisees with new salon openings and spend time in the field for salon visits to help franchisees nurture and grow their businesses. Our FSS team is here to help our franchisees succeed! In November 2016, Rock Paper Scissors was brought on as our Branding and Marketing Support team to help refresh the Pigtails & Crewcuts Brand and establish our franchise as the number one children’s hair salon in the industry. Rock Paper Scissors also took on all aspects of national advertising, including the creation of our annual marketing plan and franchise-wide promotions, such as the annual Back to School promotion. Since its foundation in 1986, Rock Paper Scissors has created strong brands and marketing programs that sustain long-term results for its clients through the integration of the team’s experience, creativity, and technology. The firm has served clients in a wide range of industries, including franchise marketing in both the childcare and retail sectors. When Wade Brannon’s children visited Pigtails & Crewcuts, they immediately fell in love. Brannon had retired from a successful career in the franchise industry a few years before so he could spend more time with his family but saw great potential for the concept to grow with the increasing demand for services that cater to families with young children. He also saw it as a great opportunity to create a business that would allow its franchisees the family time that seemed to be missing from many existing opportunities and knew there would be owners who desired the same thing. Brannon was ready to head back to work in the franchise industry, and as fate would have it, the original owner of Pigtails & Crewcuts was ready to sell the salon. Brannon purchased the franchising rights for Pigtails & Crewcuts in 2004. Brannon’s first experience with franchising at Heavenly Ham positioned him well for this opportunity. Brannon and his business partners led the single retail store in Hilton Head, South Carolina to become a franchising giant with more than 230 locations across the nation. Their business acumen was noted by Entrepreneur Magazine, which ranked Heavenly Ham the No. 1 franchise in its category for 10 consecutive years before Heavenly Ham was sold to HoneyBaked Ham in the early 2000s. With more than 30 years of franchise experience, Brannon knows what works: exceptional customer service, brand consistency, smart marketing, and franchise support. “Our goal is to be the number one children’s hair salon franchise in the country, and we seek owners who want to be a part of our success. We know that in order to reach that goal, we must provide our franchisees with the support they need to be successful. When our franchisees succeed, we all succeed,” Brannon says. When you decide to do something new with your life and career, it helps to have support from people who believe in you and your dream. There is power in knowing people have faith in you and what you are capable of doing, and that type of support is at the core of what we do at Pigtails & Crewcuts. When Wade Brannon first discovered Pigtails & Crewcuts, he saw potential for the concept to grow into a franchise that met the needs of families in communities across America. He believed it could become something special and would create an opportunity for those interested in owning a business while maintaining a positive work-life balance. Brannon had the franchising experience necessary to make Pigtails & Crewcuts successful, but knew he would need to build a team that shared the same belief in the concept and wanted to share in its success. Brannon brought Michelle Holliman and Theresa Underwood on to his team. They believed in the Pigtails & Crewcuts concept and Brannon’s ability to make it a franchising success and were eager to see it grow. Combining their backgrounds rich with franchising experience, the trio began to develop a franchise model that would attract potential franchisees who saw how unique the Pigtails & Crewcuts concept was and wanted to invest in it. For more than ten years, franchisees have been investing in Pigtails & Crewcuts because they not only realize the special service they are providing to their customers, but also because they know they are backed by a leadership team that has confidence in their abilities to build a successful business. It’s not just about knowing people have the financial backing or business savvy to operate a business, but rather believing in and cultivating passionate business owners who have faith in the Brand and want to see it reach new customers each day. By providing the right resources, training, and support, we’re showing our owners that we are confident in them and want to see them succeed. Research has shown that people will live up to the level of belief you have in them, and that simply believing in your people can significantly improve their performance. We have faith in our team and have seen the results–a franchise that is experiencing exceptional growth. Each day, we aim to pour into our franchisees because we know they are a key component of our team and our success, and we are seeking those interested in sharing our success. Let us show you how Pigtails & Crewcuts can help you achieve the success you’re looking for. If you are ready for a lifestyle change, look at the top franchise opportunities. Are you searching for something more in life than just a job? Do you want to look forward to work every day and be energized throughout the day? Do you want to spend more time with your family or find a solid investment opportunity? The top franchise opportunities offer all this and much more. If you are ready for a change, then start by examining your life as it is today. Are you doing what you enjoy? Do your day-to-day activities align with your values? What do you want to achieve long-term? Are you furthering your goals every day? Are you working with people you admire and respect? How much do you really want to change? You can choose how you want to live. Start by identifying gaps between where you are and where you want to be. If one of the gaps you identify is your career, it’s time to consider what you can do to reduce that gap and find a more fulfilling opportunity. For some, investing in a top franchise opportunity could be the solution they’ve been looking for. Franchise businesses allow you to do something you love, have flexibility in your life, and work with a team that supports each other. In addition, top franchise opportunities offer other benefits, such as a turnkey system, strong branding, and a solid business strategy. No matter your background, you can be successful with a business of your own when you invest in a franchise. While it may seem intimidating to work in an area where your experience may be limited, you can’t let fear derail you. Learning something new, like how to run a business, can help you build your confidence as well as encourage creativity and flexibility. The right franchise opportunity will provide you with the support you need to achieve success in your new venture. If you are ready to change your lifestyle, take the next step with a top franchise opportunity. Think about your goals and decide to change your future with a top franchise opportunity. Our franchise experts are ready to help, so contact us today.